If you need a quiet place where you can concentrate on studying, you can apply to have your own office in the form of a study cell at PF. There are 32 single cells of approximately 4 square meters and 4 double cells of approximately 8 square meters. 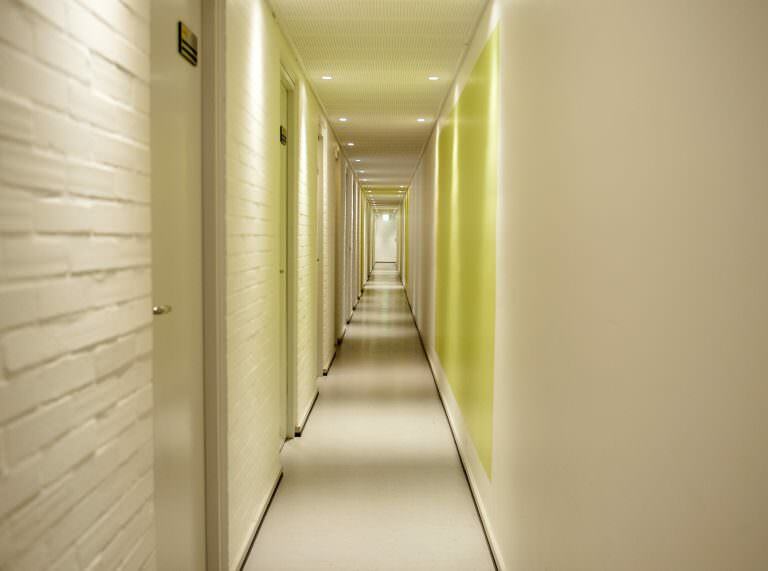 The study cells are located in building 101 between the hall and the Student House garden. 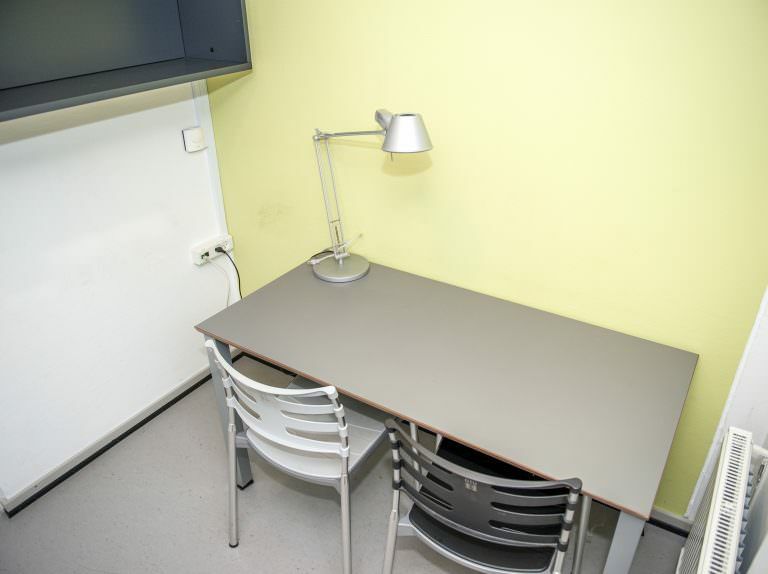 The study cells are borrowed for one semester at a time, and the are free to use for a deposit of 500 DKK. If you are interested in getting a study cell you have to fill out an application at the PF secretariat. The deadline for applications is usually in the second week of the semester. All study cells are furnished with a desk, a chair, a lamp and a shelf. The study cells are found at a hallway leading to S-Huset's yard. You enter through the entrance to the sports hall, where there is a spiral staircase. Click on Event Calendar to get a complete overview of what happens in PF.